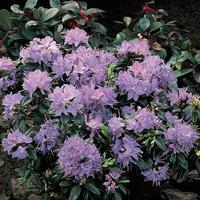 A compact evergreen with beautiful dark grey-green foliage tinted purple throughout the year. 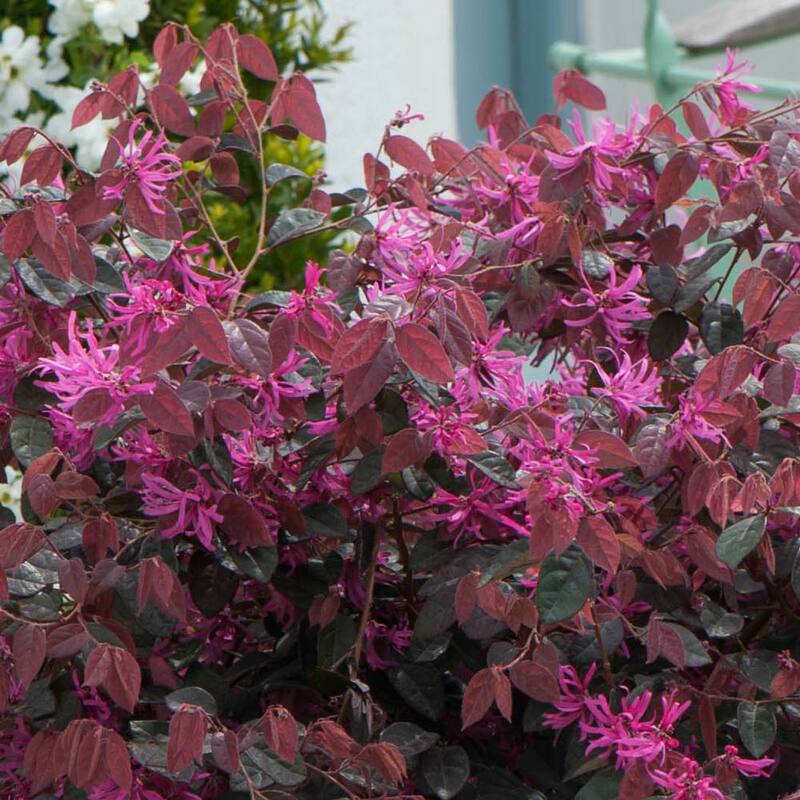 This striking shrub produces vibrant pink spider-like flowers with delicate fringing in abundance throughout early spring. 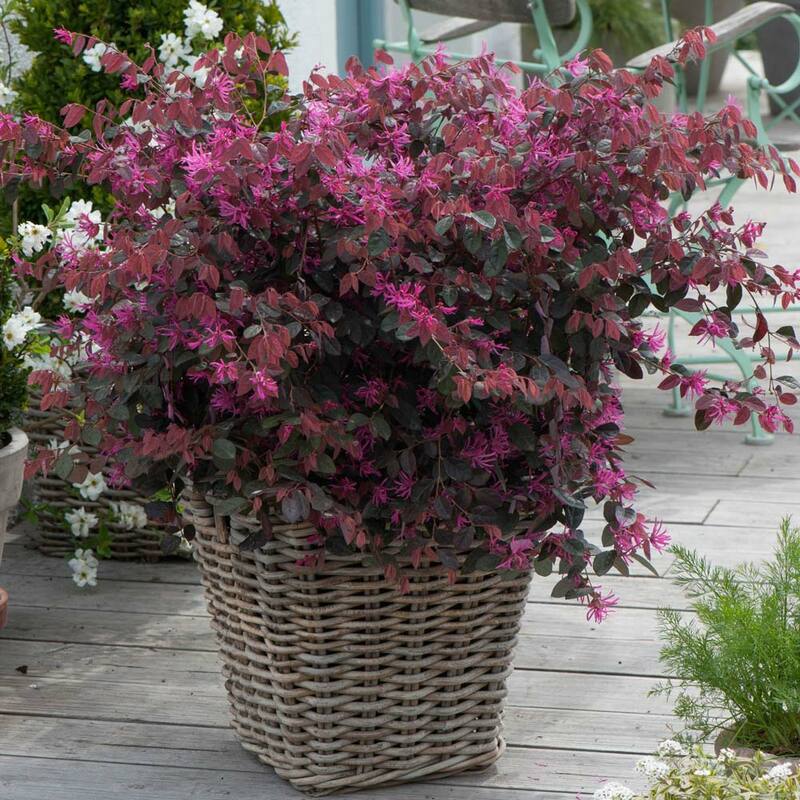 Ultimate height 1-1.4m, and its compact growing habit makes it perfect for large patio pots. 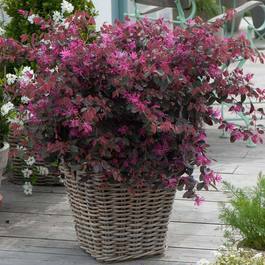 1 Litre pot plants supplied. 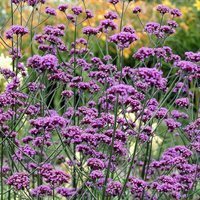 Can be planted into most types of well drained, relatively fertile soil. 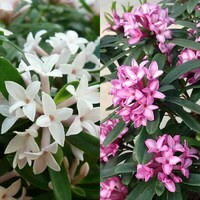 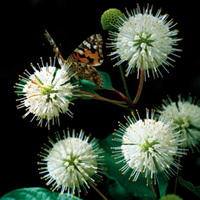 They prefer to be planted in a sunny position or slightly shaded area. 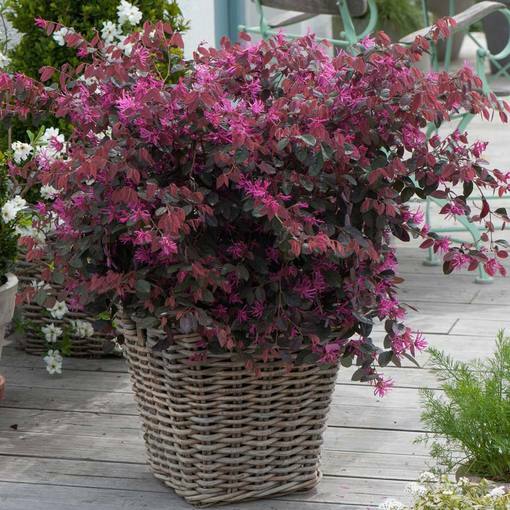 Prune regularly to help keep at a size and shape that can be easily controlled.